Sofia Coppola’s modern and pink-painted punk-rock 2006 film “Marie Antoinette” is one of a kind. 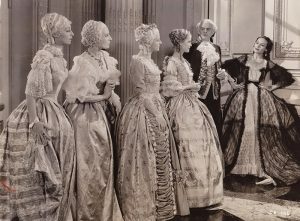 Although opinions vary, it is clear that a particular style has been created in this period drama, that brings to life a new way of seeing and interpreting life on the last floor of the monarchic ladder of the 18th Century. With its amazing cinematography and distinctive colour palette which flows into the incredible beauty of the costumes and set designs, we have a visual experience that will linger in our minds up until we fast-forward back to the present world. However, we do not only see a female lead carrying the way and the prestigious life of champagne and french biscuits, as we are also faced with a teenager trying to grow up in a society led by men, in which women serve mostly as accessories to their power. With its alternative and post-punk soundtrack and glamorous touch, we have a film that is clearly unique. 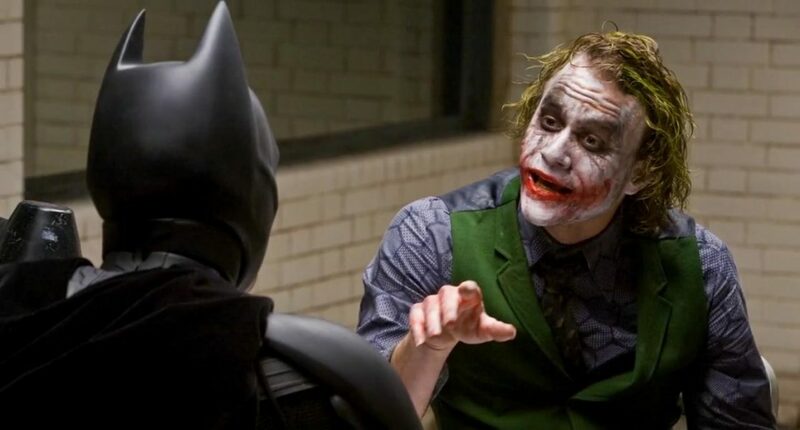 However, looking at similar themes, characters or visual styles, we can still manage to prolong the genre of this film into a list worth our time. Having that said, here is the list of movies similar to Marie Antoinette that are our recommendations. You can watch several of these movies like Marie Antoinette on Netflix, Hulu or Amazon Prime. It might be strange to imagine Hilary Swank in a period drama, dressed with the typical corset dresses, as we often remember her as Brandon in “Boys Don’t Cry” or the boxing athlete in “Million Dollar’s Baby”, however she’s the one leading the story here and there’s no doubt she did it well. Set in pre-revolutionary France and based on true events, it follows the adventure and strategy of orphaned Jeanne de Saint-Rémy de Valois in regaining the wealth and social status, as well as a home, that was once her family’s before it was taken away from them. After having been rejected by Marie Antoinette, she sees an opportunity for her goal in the affair of a diamond necklace, order by the now-deceased King for his mistress Madame du Barry. Slowly but surely she establishes a plan which includes tricking her entourage and faking her role as the Queen’s confident. This Wes Anderson masterpiece is not set in the monarchical era of the 18th Century, nor is it led by a female historical character, nor is it filled with expensive clothes and macaron-piled deserts. However after watching “Marie Antoinette” we get an instant crave for that amazing and clear visual style where the colour pink is existing almost everywhere we look. 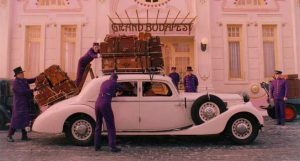 In order to please our eyes with yet another amazing colour palette and cinematographic aesthetics, where the colour contrast is real, where the tone is of pastel elegance and the golden details are always present, “The Grand Budapest Hotel” has exactly what we’re looking for. Set somewhere along the timeframe between the two World Wars, it recounts the comedic adventures of M.Gustave, the concierge of the prestigious hotel, and Zero, the new lobby boy, after the first has been framed for murder. It must be a strange change of temperature, going from nothing to the highest peek, just to fall back down into the emptiness of solitude. The extravagant fame and wealth of Marie Antoinette which ended with the loss of everything she possessed, along with her head (through the guillotine), could in some ways be relatable to the quick rise and fall of Edie Sedgwick. She started out as a young beautiful, yet troubled art student only to become Andy Warhol’s muse, appearing in various of his experimental films as an actress and as a model for many fashion magazines. Sienna Miller plays the iconic figure through a performance that brings out great outcomes in a story loaded with heartbreaking tragedy. With another strong female character as the lead, and Keira Knightley on the cover once more, we have the famous tale of Anna Karenina, countless times already adapted to the big screen, this one being the most recent. Set in 1874’s Russian Empire, we’re given a story about a woman living as a socialite in the comfort of aristocracy in the city of St. Petersburg, married to a wealthy statesman with whom she has a son. However, although her life seems perfect as it is, it will soon tumble over when mutual attraction and uncontrollable feelings are felt by Anna and Count Alexei Vronsky. 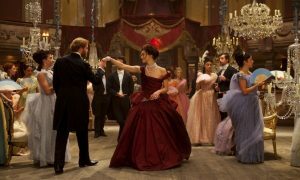 Infidelity and treason are key in this tale of love and social limitations, where the beauty of its surroundings, from the ballrooms to the iceskating ring, is heavily used in this visually stunning cinema adaptation. A real pleasure to the eye, just like the colourful and gorgeous costume and set design of Coppola’s work. 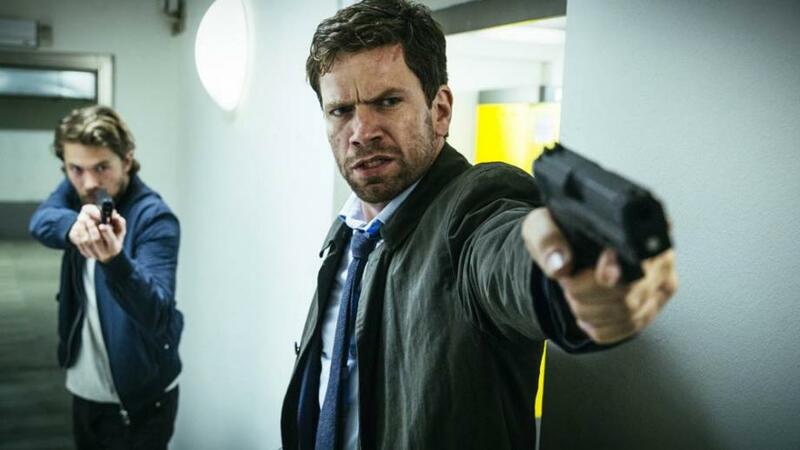 By relocating to a new destination, we arrive in Venice, the setting for this biographical drama. Engulfed by the city’s canals and sixteenth-century houses, lives Veronica Franco, a beautiful, curious and joyful woman who’s lover Marco must leave her in order to marry a woman in accordance to his social status. Devastated and following her mother’s suggestion, she soon becomes a courtesan and successfully gains power and reputation in the city’s wealthy class of men enjoying her company. At the top of her days wearing prestigious dresses and beautiful dining rooms, she soon sees her life crumbling down with the arrival of the war and the city’s authoritarian religious fanatics. A strong female character who takes a stand in a society where men owned the power and where women were only their possessions. 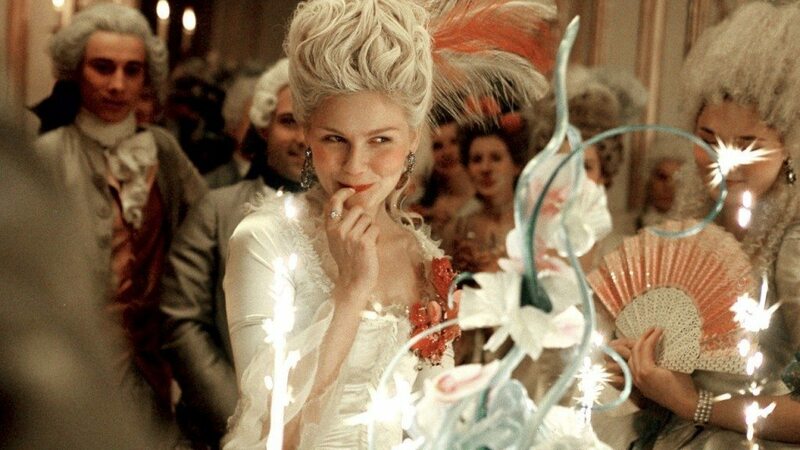 Fame, shiny jewelry, stacks of cash and lots of clothes come right back into the picture with this extravagant satirical crime drama by the same director as “Marie Antoinette”, that is, Sofia Coppola. Though not set in the 18th Century but in the present time we’re living in, this story, which is based on real-life events, gives its audience a portrait of young teenagers seeking wealth and comfort, the one they watch and see everyday on reality tv shows and other medias. Marie Antoinette took advantage of the privileges she was given while perhaps forgetting the poor who had nothing on their plate. Here, a group of teenagers decide to try out a silly idea and end up on long-lasting spree of braking into the homes of rich and stylish celebrities to steal their clothes, accessories and money. Starring Emma Watson as one of the leads, this film contains wide entertainment and energy, while working with a similar visual beauty and elegance in its cinematography. With Scarlett Johansson and Natalie Portman we’re set in England’s 16th Century, where King Henry VIII’s marriage is failing due to his wife’s inability to produce a son for the throne. Anne and Mary are two aristocrat sisters who become involved with the royal leader and due to jealousy and unplanned events are led into a conflicted situation that will put their family in danger. An excellent historical drama with lots of tension portraying the delicate societal structure of the time in which everyone’s actions could lead to crucial consequences. Portman’s performance takes the lead and brings out a three-dimensional and intelligent character worth to follow. “The Young Victoria” is a biographical period drama recounting the early life and first years of reign of Queen Victoria, in England’s 19th Century. 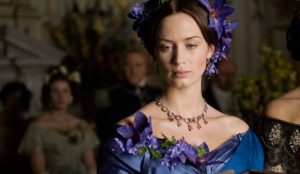 Portrayed as a strong, independent woman who fought against the outside influences and powers going against her, nobody could have played her better than the talented Emily Blunt. Together with her political rise, comes a romance she didn’t plan with Prince Albert, who had initially come to seduce her in order to lead her into her uncle’s point of views. As the first monarch living in the Buckingham Palace and a crucial figure in the history of England, we’re given an excellent insight, with beautiful decors and costumes of the era, into another important character of the past that has influenced its future. “Amadeus”: the famous film that took home an incredible amount of acclaimed awards for the depiction of the genius of classical music, Wolfgang Amadeus Mozart, through the eyes of his envious enemy, Antonio Salieri. In a beautiful 18th Century setting of Vienna, Salieri is a respected court composer under the reign of Emperor Joseph II, who finds an incredible admiration for the obvious talent of new-comer Mozart, yet a profound jealousy, as having such a talent has been his lifelong dream. Moreover, he despises more than anything the vulgar character of the young pianist who his seen as immature and indecent, in his habit of drinking, partying and fooling around under his lover’s dresses. 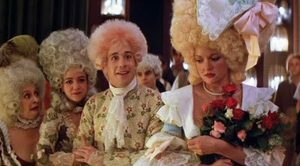 With a similar look and feel as the prestigious satin gowns and delicate shoes of “Marie Antoinette”, this period drama brings us back into an atmosphere of intricate costume design detail, in which Mozart replays his extravagant personality in his pink-toned wig and high-pitched laugh, through matching events such as a masquerade ball and champagne parties. The mysterious young woman who made King Louis XV of France fall under her charm, with her exotic beauty and intelligent seduction, is a character one easily becomes interested in. From the contentious relationship with Marie Antoinette to the affiliation to the “Affair of the Necklace”, Madame du Barry has loads of absorbing stories filling her life. In this 1934 adaptation to the screen, we have the famous Mexican actress Dolores del Rio playing her part in a film recounting her life as the King’s last mistress and the power she gained going up the social latter of monarchy. Although not historically accurate, it does astound for its costume design and visual representation, from which it has been said that some jewellery used in the film was once used in the era the protagonist lived. 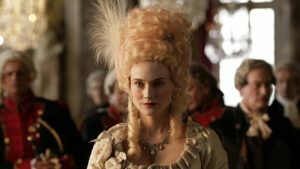 This french drama brings Marie Antoinette back to the big screen, however not in the same way Coppola did as the fictional story presented here is not seen through the eyes of the queen, neither is her prestigious life of dresses and parties. Léa Seydoux beautifully portrays Sidonie Laborde, a young servant called as a reader to the wealthy Marietta, who sees the unpreoccupied (at first) court at Versailles live on their daily routines during the last days of monarchy, during the emerging French Revolution. A fascinating visual experience at the centre of the magnificent setting of the french palace with its popular hall of mirrors. With an outstanding performance by Keira Knightley, another amazingly crafted story about marriage, treason and aristocracy is born. 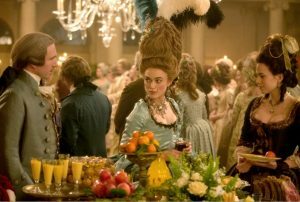 With the role of Georgina Cavendish, she plays the part of a young teenager who is arranged into marrying William Cavendish, the Duke of Devonshire in the middle of the 18th Century. Stuck to a cold, heart-less man and with the only purpose of serving him a male child which she firstly fails by giving birth to a girl, she as well turns to the beauty of the era’s dresses and outfits, the gambling and the drinking. However her relationship becomes unstable as other women entertain her husband’s needs and she herself finds love in the arms of another man. Although portrayed in a complete different way and leading up to divergent outcomes, it definitely reminds us of the path of our chic French queen. Not to mention, the amazingly beautiful and creative costumes designed for this period masterpiece, that deserve the applaud of every film and fashion-lover out there.